Nowadays, video editing is not the preserve of film-makers. Everyone can edit videos for special purposes through video editing software. We can edit videos shot by HD camcorders/webcam/GoPro action camera/DJI drone, videos movies downloaded online, or videos received from our friends, etc. Some people may think that they have to spend a costly budget on a pro video editor to perform video editing. But in fact, this task can be done on the cheap if you can find powerful yet free video editing software. Haven't found a suitable one? Take it easy. Here's the pick for the best video editing freeware for Windows 10, 8, 7, XP, etc. and Mac OS X 10.14, 10.13, 10.12, 10.11, 10.10, 10.9, etc.). WinX Video Converter – Besides acting as free video converter, it is also a powerful yet simple free video editing software for Windows and Mac. Users can edit any SD/HD/4K (MKV, M2TS, AVCHD, H.265, etc.) videos by cropping, expanding, trimming, merging, etc. No suspicious plugins or toolbar. No watermarks. Instead of recommending an advanced video editor with complicated features and settings, this part is going to introduce a piece of surprisingly easy free video editing software – WinX Video Converter. Guessing from its name, you may take it as a video converter. Surprisingly, it also doubles as powerful video editing software. It is intended to crop black bars from a video, auto expand to profile video resolution, trim the unwanted parts from a video, merge multiple video clips into a single complete project, compress videos, and do other video processing tasks. And all of these jobs can be done with a bare minimum of efforts. If you are a Windows (10) or Mac user who wants to edit your everyday videos for uploading on YouTube, Facebook, blog, and other video websites, or sharing with others, simply download it and have a try. Unlike other free video editing software with limited supported file formats, WinX Video Converter supports virtually all video formats, such as HD MKV, M2TS, TS, MOD, AVCHD, HDTV, H.265, MP4, AVI, WMV, MOV, etc. How to Edit a Video on PC and Mac without Quality Loss? Losing the original quality after editing is the last thing that most people want. If you want to process SD/HD/4K video without quality loss, you'd better free download video editing software now, install and launch it, and then learn the guide to edit videos without losing quality. Step 1. Load a video for editing. It's very easy to input video for later editing. Loading videos by dragging and dropping, or by tapping "+ Video" button? You are the boss. Step 2. Choose output profile for edited video. WinX Video Converter will pop up an Output Profile window automatically after loading video successfully. * To edit videos for later burning to DVD, you should choose from DVD Profile. That is to say, you can specify output profile based on your own purpose. Step 3. Edit the video with this free video editing software. This HD video editing freeware offers many useful video processing options. Simply click "Edit" option and begin editing video. * Crop the video: This option enables you to crop the letterbox from a video, crop a video according to aspect ratio 16:9, 4:3, or 1:1, or crop the video by setting position and size. * Expand the video: To expand video, please check "Auto expand to profile video resolution: keep origin". * Cut unwanted parts or split a video into several parts: Move to "Trim" option, check "Enable trim", then you can cut the video by dragging the slide bar under the preview window or setting start time and end time. * Deinterlace interlaced video: Check "Deinterlacing" to turn interlaced video to progressive video. 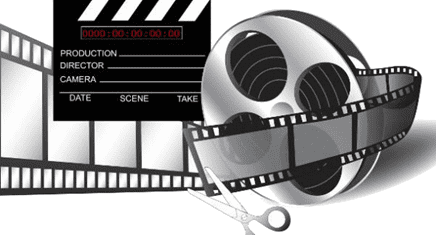 Besides above mentioned video editing options, this free video editing software also enables you to adjust volume, adding external subtitle, disable/enable inner subtitle, and also set video audio parameters. If you want to edit a video without re-encoding and without quality loss, you should check the video audio parameter settings. Please make sure that all the video audio parameters are same with the original. Step 4. Export the edited video. Simply press "RUN" button in the right corner of the free video editing software to come to the process of video editing. And it will export the edited video soon thanks to the super Transcoding Engine, the newest cutting-edge tech to support Multi-core CPU (up to 8 cores) and other optimized configuring. WinX HD Video Converter Deluxe: Edit SD/1080P/1080i/4K UHD videos; free download any videos (3D and 4K/8K videos included) from YouTube; convert any videos to any other video formats; change video resolutions/bitrates/aspect ratios; and make slideshow from pictures and photos.